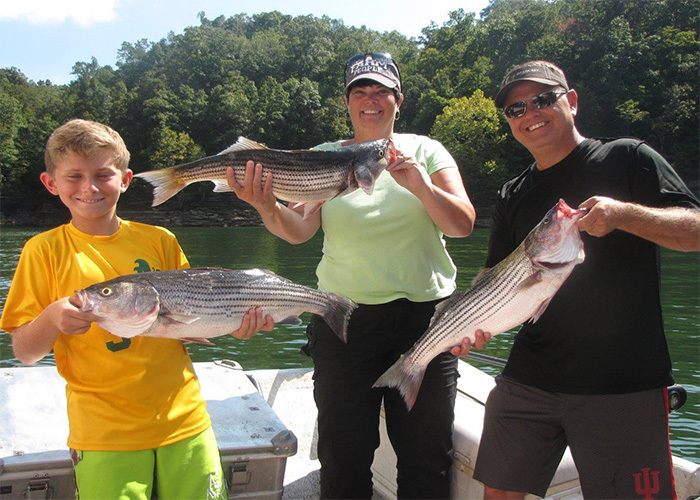 Six to eight 8 hour striper trips offered. Most trips start at daylight. Pick up from most marinas and ramps around the lake. Kentucky fishing license, rain gear, and appropriate seasonal clothing required.